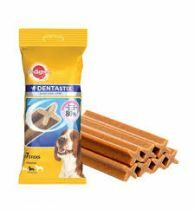 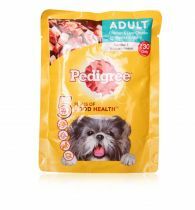 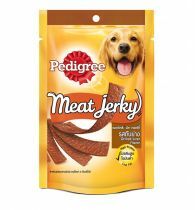 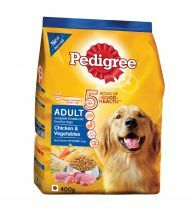 • WHOLESOME, COMPLETE 100% VEGETARIAN MEAL to give your adult dog all the energy and nourishment he needs to keep his immune system young at heart. 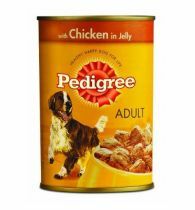 Ideal for those seeking vegetarian options for their pet. 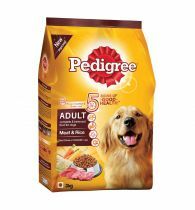 • HIGH-QUALITY INGREDIENTS; the right mix of cereals, soybean, vegetable oil, carrots & peas for healthy, natural growth! • PALATABLE TASTE; time-tested flavours of our custom dog food recipe and crunchy kibbles that make your pet dog rush towards his meal! 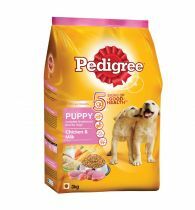 • Produced under HIGHEST FACTORY STANDARDS and subjected to stringent quality checks. 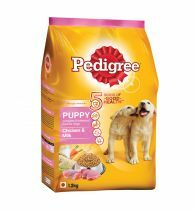 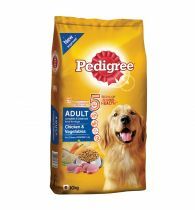 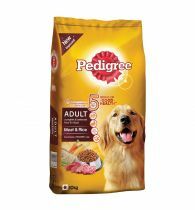 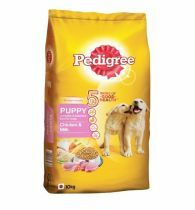 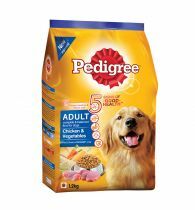 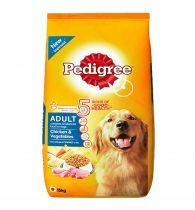 PEDIGREE pet food contains no artificial colours & flavours.